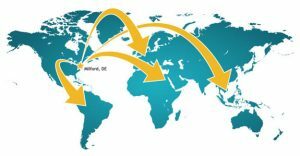 International Representation - How to partner with Mohawk - Mohawk Electrical Systems, Inc.
Are you a representative with foreign contacts? Are you looking to partner with a manufacturer with over 50 years experience in government and commercial production experience? Mohawk Electrical Systems, Inc. is looking for new markets to be represented in. Currently, Mohawk has representation in many countries around the world. In the constantly changing and evolving commercial and defense markets, more companies and contractors need reliable solutions when it comes to manufacturing life’s most critical assemblies. Learn more about countries we currently have representation in, here. To find out more about Mohawk’s history, leadership and production capabilities, please feel free to contact us. There are requirements that need to be met in order to represent Mohawk in international markets. Please contact, info@mohawk-usa.com to learn more.